Christmas at Arlington is Arlington’s gift to the City of Birmingham! Held the first full weekend in December (December 8-9, 2018), this Birmingham Christmas tradition is a great way to kick off the holiday season each year. Visitors are invited to “step back in time” as local decorators adorn rooms of the museum in seasonal period décor. Some of Birmingham’s finest decorators will make the past come alive in the rooms of Arlington with creative holiday decorations of Christmas Past. The Hanging of the Green and Candlelight Program with Birmingham Mayor Randall Woodfin on Friday evening will feature costumed reenactors of Arlington’s former owners, holiday entertainment, tours of the house and old kitchen, and a reception ($20 at the door). With free admission on Saturday and Sunday, holiday tunes will fill the air as visitors tour the historic house, kitchen and gardens. Guests are invited to enjoy more holiday music, entertainment, festivities and light refreshments, served in the Garden Room. The old country kitchen will feature photo opportunities and visits with Santa, children’s activities and punch and cookies! 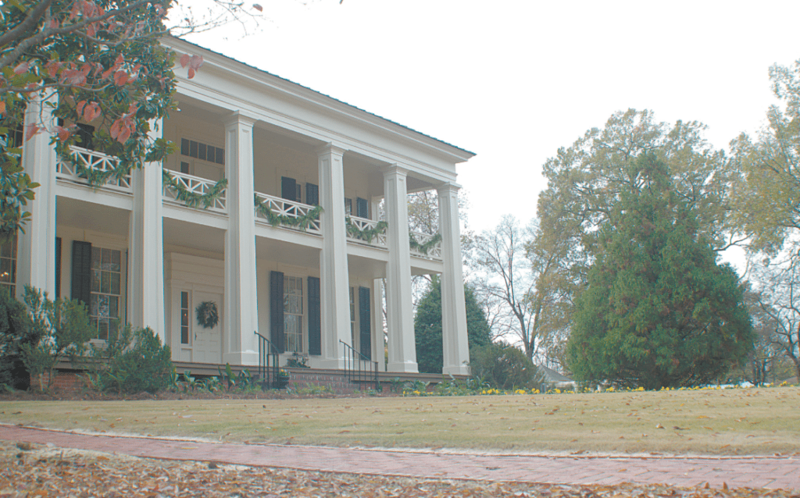 Arlington is a Greek Revival style, antebellum-era home, known by its original homeowners as “The Grove,” and was built by Alabama Circuit Judge William S. Mudd as a gift for his wife. He purchased the property in 1842 for $600. In 1865, Union General James Wilson came upon the house and decided to use it as a basecamp for his men while they planned their attacks on Tuscaloosa and Selma. The rich history of Arlington continued as it was purchased by others over the years, including Henry DeBardeleben in 1884, Franklin Whitney in 1886 (who renamed the house “Arlington”), and Robert Munger in 1902. Arlington is on the National Register of Historic Places and is open throughout the year to host visitors, tours, luncheons and events. Anne Gibbons is President of the Arlington Historical Association and Terri Hicks is Chairperson of Christmas at Arlington. Friday, December 7, 2018 – Hanging of the Green, Candlelight Program and Reception, 6:00 pm. $20 admission. An event calendar servicing the Trussville, Clay, Pinson and surrounding areas. Our mission is to provide information on the events upcoming in our communities.